Whether you're a experienced and competitive sailor, or you've never set foot in a boat before and would like to learn, there's something for everyone at Barnt Green. Much of our activity is centred on club racing but we also encourage informal sailing outside the racing programme. We are an RYA Recognised Training Establishment and 2016 RYA Champion Club and our training programme includes courses for adults and juniors, with follow up coaching sessions to build on the formal courses and specialist sessions on particular aspects of racing. 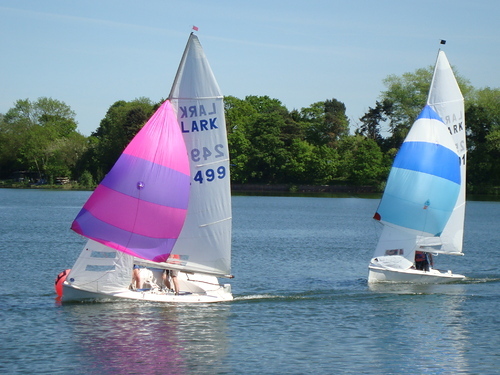 Organised racing at the club takes place on Sundays (morning for the sailboards and afternoon for the dinghies) and on Wednesday evenings during British Summer Time. We also enjoy casual sailing at other times, especially on Saturday afternoons during the summer months. Surrounded by open countryside, the view from the water at Barnt Green is absolutely sublime.